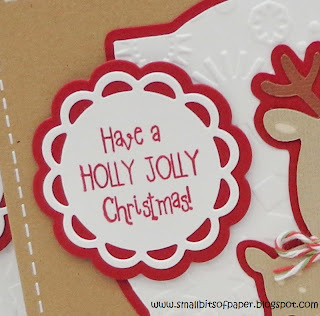 DT Post by Kate - Rudolph The Red-Nosed Reindeer Card! Happy Saturday! This is Kate from Small Bits of Paper and I'm delighted to be sharing a project with you today. I made these fun little cards to spread some Christmas cheer! After layering my reindeer on snowflake-embossed mats, I dressed them up with some Christmas Candy Cane baker's twine for some added festive fun. 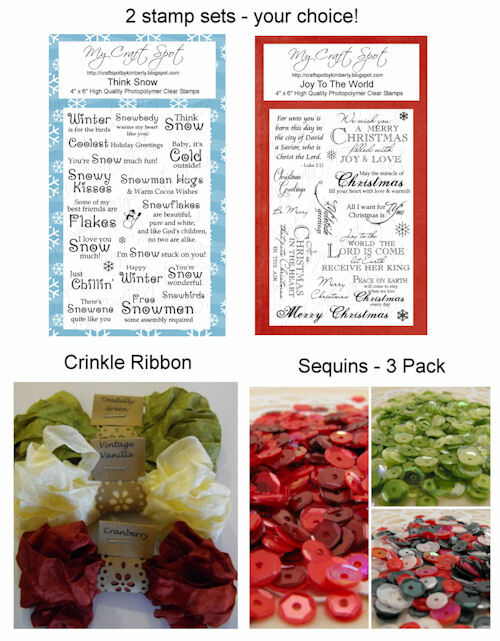 My Craft Spot has a fabulous Christmas and Valentine Mix of baker's twine with a wonderful combination of twine to add some extra fun to your Christmas projects. These are the products I used for my cards. They're all available at the My Craft Spot Shop! Have you checked out My Craft Spot's challenge this week? It's a Christmas shape card challenge. 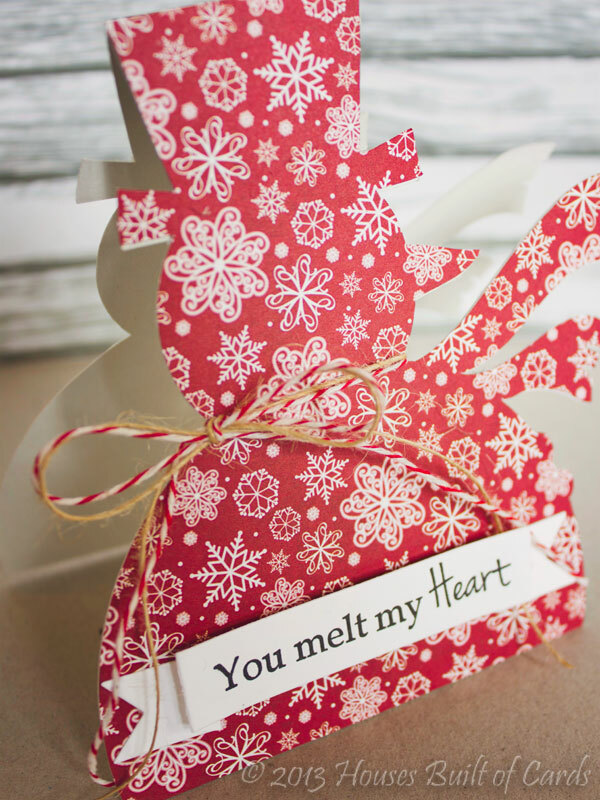 Click HERE to see all the design team inspiration and then link up your own shaped Christmas card for a chance to win this week's prize: the NEW Jar Full of Christmas stamp set! I love everything about this holiday! I love making homemade rolls. I love the smell of celery and onions cooking in butter first thing in the morning. I love that my children like to peel apples for the pies and snack on cinnamon apples. I love that my husband spends that morning baking pies with me. He makes the apple pie filling (his special recipe) and I make the crusts. His apple pie filling is delicious! I am thankful for so many things. 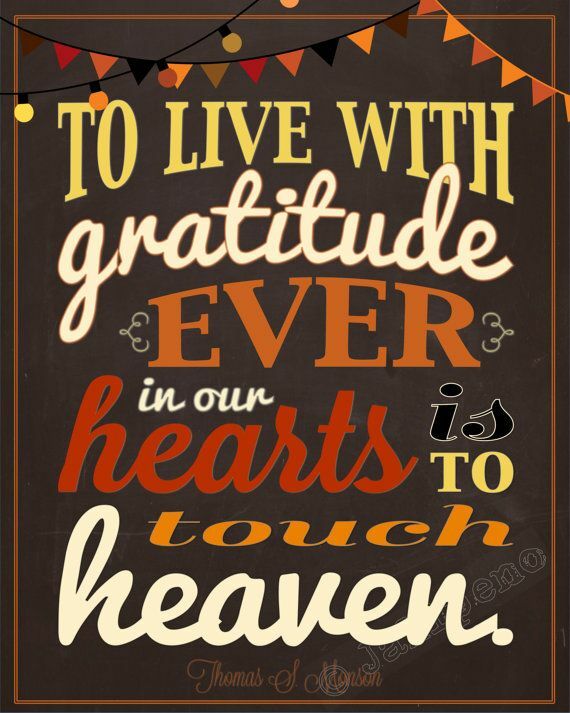 I am thankful for my loving family, God's many blessings in my life, good health, this beautiful earth that we live on, and so much more that it would take pages to list! Sooooooo . . . . . I thought I would do a giveaway to show my gratitude for all of you. The picture below shows 2 stamp sets, but you will be able to pick your favorite My Craft Spot stamp sets if you win. I will announce the winner on Monday (December 2nd). 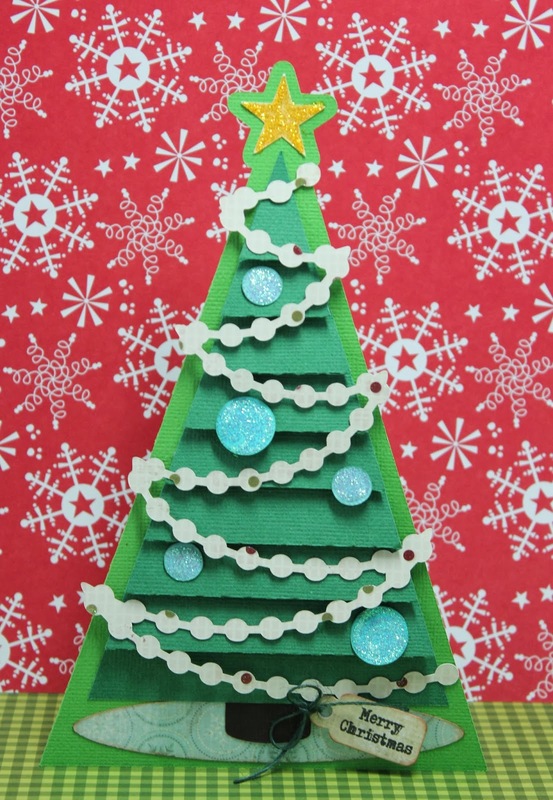 Monday Challenge #119 - Christmas Shape Cards!! I love Thanksgiving weekend . . . visiting with family and, of course, all of the delicious food! I am not much of a Black Friday shopper . . . well, maybe online. :) My favorite thing to do the day after Thanksgiving is to set out all of the Christmas decorations. We even have some new decorations to add to all of our old favorites this year! So excited! Are you ready for another fun challenge?! 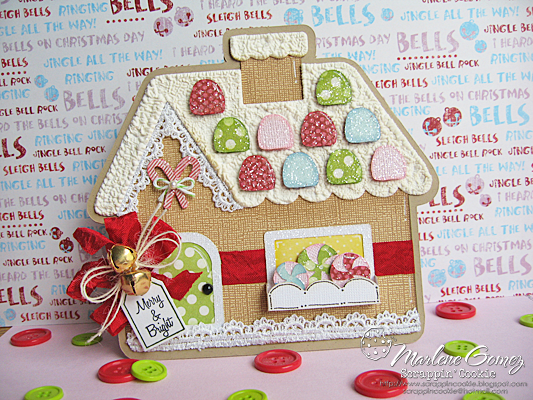 Marlene's gingerbread house is gorgeous! I love the snowy roof and gumdrops! 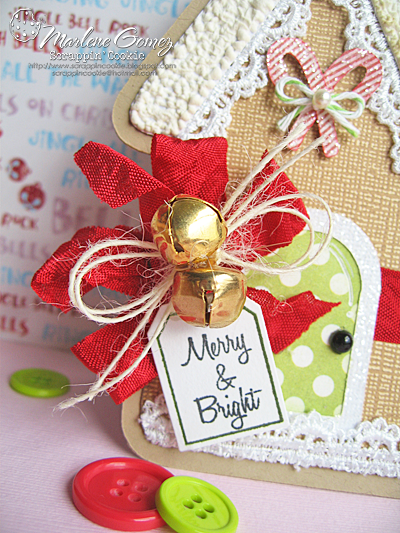 The jingle bells are so cute on her tag and I love the touch of lace! 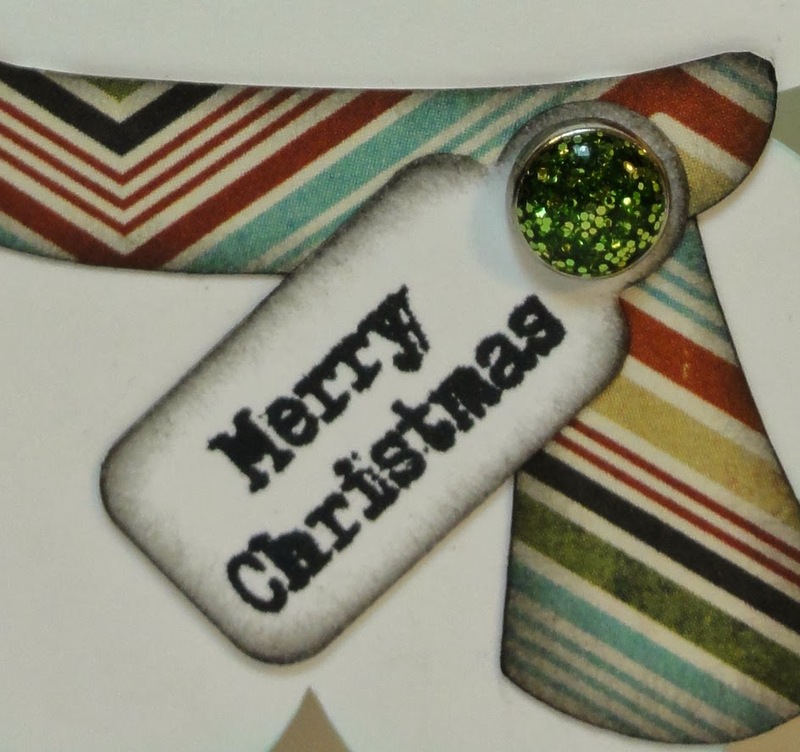 Marlene cut her tag from the Tiny Tags Metal Dies and stamped it with a sentiment from the Mistletoe Stamp Set. She added Scarlet Red Crinkle Ribbon, Ivory Jute String, and Green Apple Twine. Her inside sentiment is from the Joy to the World Stamp Set. Heather made such a fun shape card! I love how the banner sentiment becomes the focus! This one would be easy to mass produce. Heather used the Straight Ribbon Banners metal dies and the Christmas Banner Sentiments stamp set for her sentiment. She finished it off with Natural Jute Twine and Cherry Red Traditional Twine. GiGi's snowman is adorable!! What a cute face and I love his hat! Her inking and pen work are fabulous! Her sweet tag was cut from the Jar Basics Metal Dies and her sentiment is from the Mistletoe stamp set. Wow! Gwen's tree is amazing! I love all of the layers and her cute garland! Such a fun card! 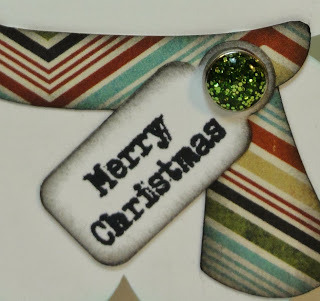 Her cute tag was cut from the Jar Basics Metal Dies and stamped with a sentiment from the Mistletoe stamp set. Gwen attached her tag with Green Jute String. Her inside sentiment is from the Ornate Labels-Christmas and the Joy Filled Christmas stamp sets. Sherrie's penguin is adorable! I love that cute face! The button makes a fun addition to her bow! 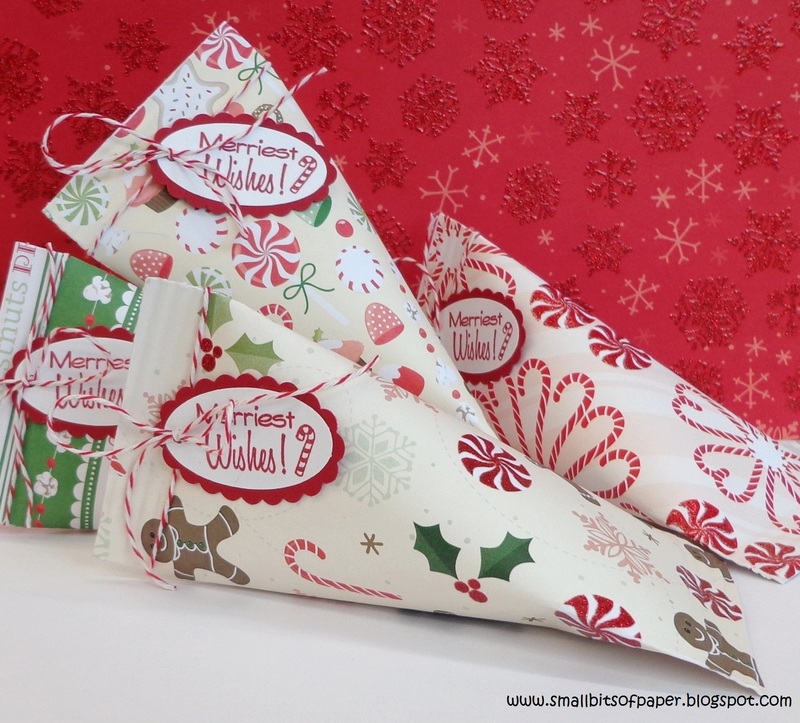 Sherrie used the Ribbon Banners Metal Die-Straight and the Christmas Banner Sentiments stamp set to create her sentiment banner. Robin's card is absolutely beautiful! I love her subtle, but gorgeous inking! 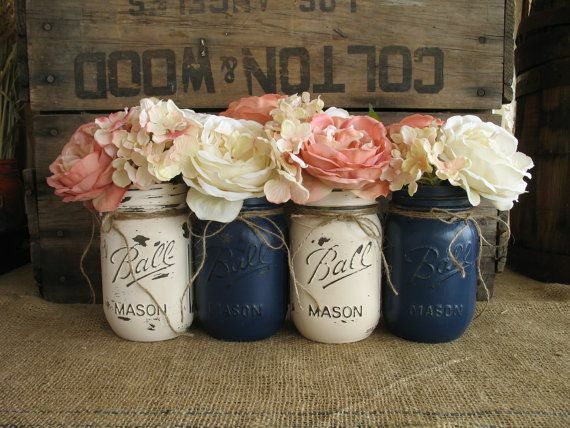 The burlap behind her sentiment is so pretty! This sentiment is from the Joy Filled Christmas stamp set. 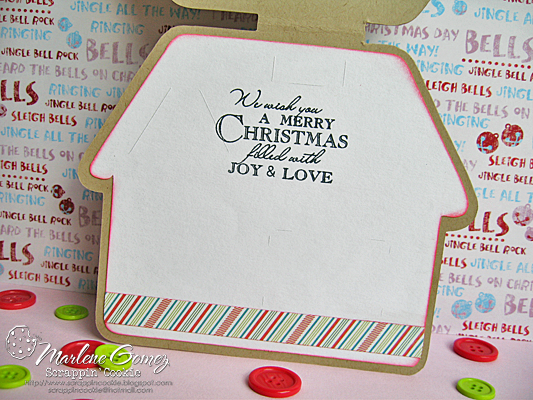 Robin added a star from the Merry Christmas stamp set to her main sentiment (from the Joy to the World stamp set). Beautiful card! Did you know that there are over 60 stamp and metal die sets at My Craft Spot?! 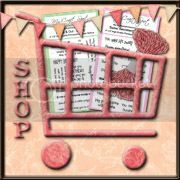 Click HERE to see all of the fun stamps, metal dies, sequins, bakers twines and ribbon at My Craft Spot! This video is based on John 9:1-41 - Jesus heals a blind man. 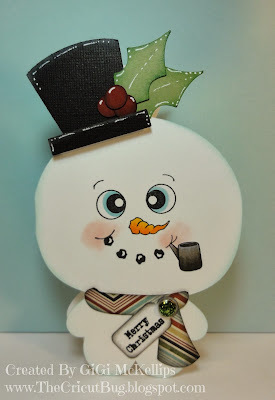 DT Post by Kate - Merriest Wishes Sour Cream Containers! Happy Saturday! Welcome to My Craft Spot! 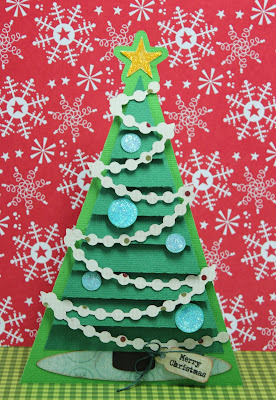 I'm Kate from Small Bits of Paper with a quick and easy project to share with you today. These little sour cream containers make a wonderful alternative to a bow on a gift or a little extra something to share with a card. I fill them with Lindt chocolates and they're always a hit! To put these pouches together, I used patterned paper cut to 6x6. 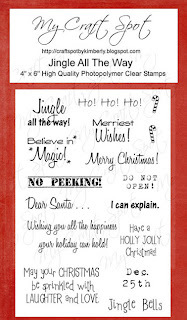 I used the Jingle All the Way stamp set for the Merriest Wishes sentiment. The little stamped candy cane is from the same set. So cute! To finish things off, I used Cherry Red baker's twine tied in a bow. Easy peasy and a delight to give and receive! 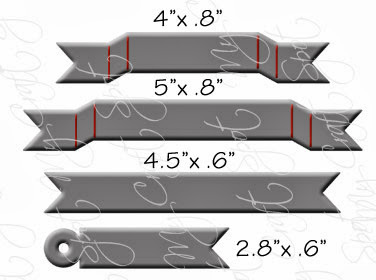 Be sure to check out the My Craft Spot shop HERE. 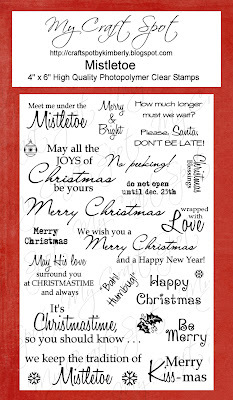 There are 14 different Christmas stamp sets from which you can choose! Guest Designer - Missy from Quick Chick Designs! 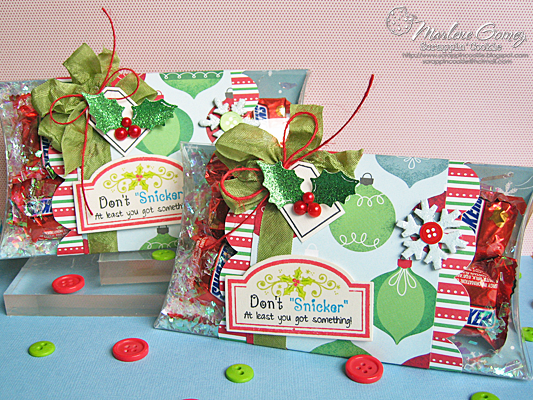 This is Missy from Quick Chick Designs, guest designing for you today! I was so thrilled and honored when Kimberly invited me to be a guest designer for My Craft Spot!!! When I got my Cricut and started surfing the blogs on the internet, Kimberly was one of the first, and most talented bloggers I followed! I love her style and detail she puts in to her projects, and her design team is so incredibly talented! She has such a unique line of terrific products as well! 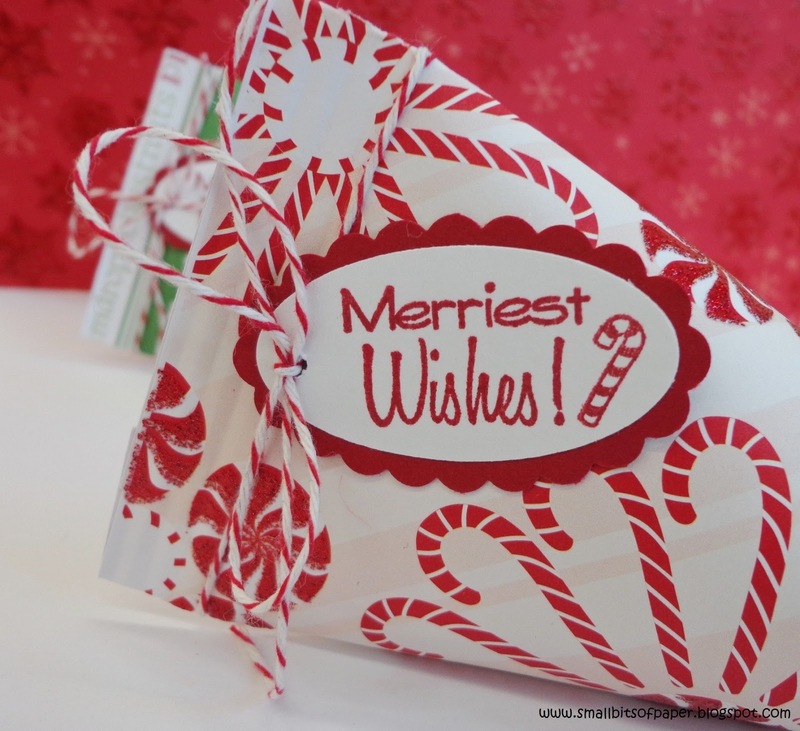 For my project, I made a card using the Joy to the World stamp set as well as some of her fabulous hand dyed Crinkle Ribbon!!! 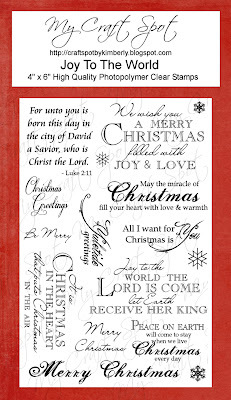 I knew I wanted to use the Luke 2:11 Bible verse on my card, so I began by searching through my Cricut cartridges to find an image that suited it. I found this little shepherd boy on the Winter Frolic cartridge, and thought it was perfect. I distressed the edges of the off white mat and added some stitching with my sewing machine. I also added a bit of embossing to my sheet using the Swiss Dots Cuttlebug folder. I finished it off with a bit of Stormy Day crinkle ribbon to finish it off. Kimberly's stamp line has such a wide variety of sentiments, for so many occasions, and she has terrific dies that compliment them, they are so much fun to work with!! Kimberly has generously donated a stamp set - winners choice!! All you have to do to win the stamp set is head on over to my blog, Quick Chick Designs, and leave me a comment letting me know what stamp set is your favorite from Kimberly's line!! I will draw a winner next Friday, November 29!! Thanks so much for stopping in today!!! 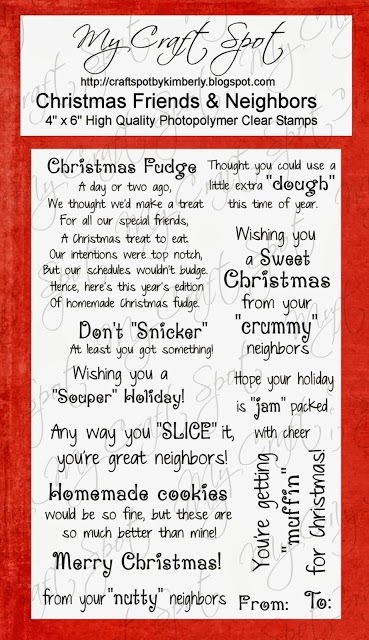 Looking for more Christmas card ideas? 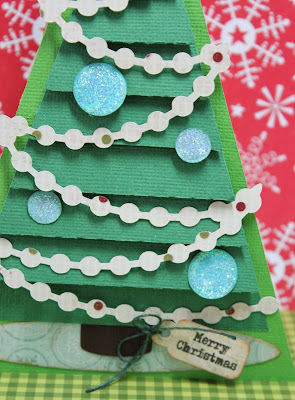 Click HERE to enter the Christmas/Winter Idea Gallery. 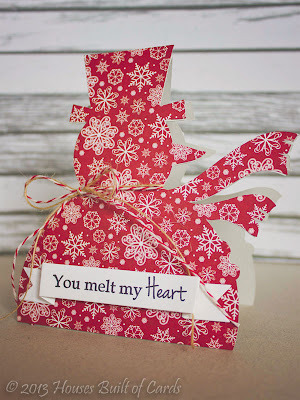 DT Post by Sherrie - Cute Turkey card! This is Sherrie from Sherrie Scraps with Passion and I am here to share a fun card using My Craft Spot's Jar Full of Fall stamp set. Hope you like it! Click HERE to enter the gallery! DT Post by GiGi - You're Snow much fun! Hello everyone! This is GiGi from The Cricut Bug and I have a fun card to share. I used My Craft Spot's Snowflake Dies, Ribbon Banner Dies-Straight and Think Snow stamp set on this card. I cut the sledding boy from SVG Cutting Files Winter Kids file and stamped his face with a Peachy Keen Sweet and Innocent face stamp. 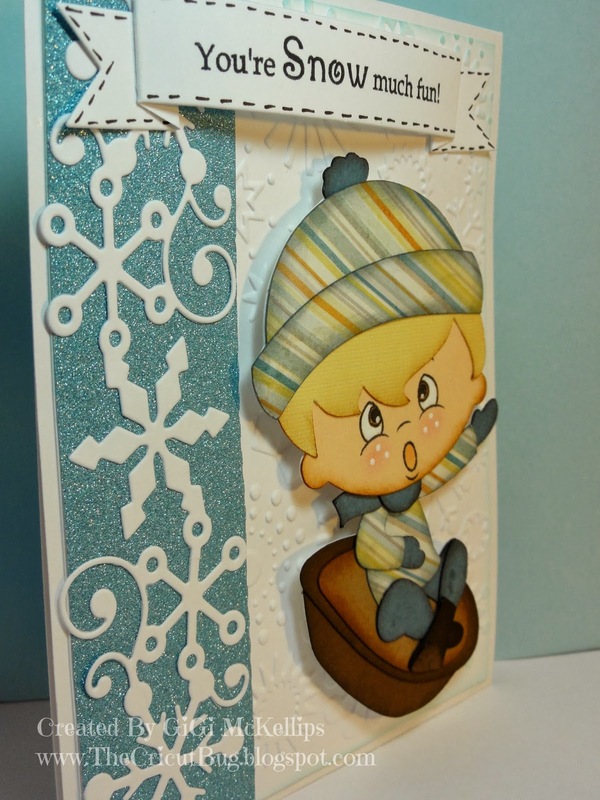 I embossed the background of the card with the Cuttlebug Snowflakes folder and added a glittery strip of blue to the side. I cut the snowflake border using My Craft Spot's Snowflake Dies and glued it to the side. The sentiment banner was cut using My Craft Spot's Ribbon Banner Dies-Straight and I stamped the sentiment using the Think Snow stamp set. Have you seen these new dies? They are AWESOME! I just LOVE these banner dies! I hope you all liked seeing my card today and thanks for visiting! Winners from Challenge #117 - Pinterest inspired! 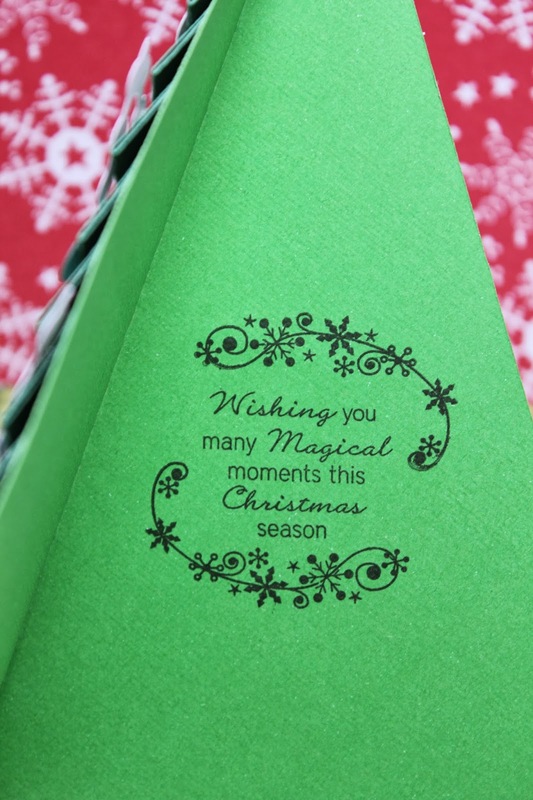 You won the Mistletoe Stamp Set! DT Post by Marlene - Don't Snicker! Hello My Craft Spot Followers! Thank You for joining me today here at My Craft Spot. This is Marlene from ScrappinCookie. As we all know we only have a few weeks left before Christmas - unbelievable, right? - and this year, like every other year I have VERY HIGH hopes to be able to make a few quick gifts for friends, teachers, co-workers, neighbors, etc. The only difference this year is that I have a NEW "partner in crime" - My Craft Spot's Christmas Friends & Neighbors Stamp Set!! This stamp set will make ANY Christmas gift idea for friends a BREEZE. 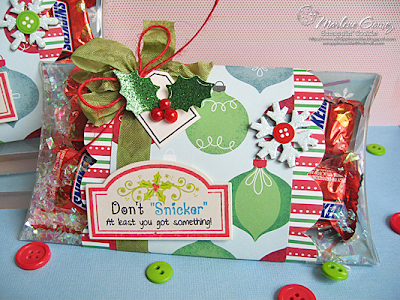 For my quick Christmas Gift today, I've used the "Don't 'Snicker'..." Sentiment and filled up a clear pillowbox with some "Snow" Confetti and a few pieces of Christmas Mini Snickers. 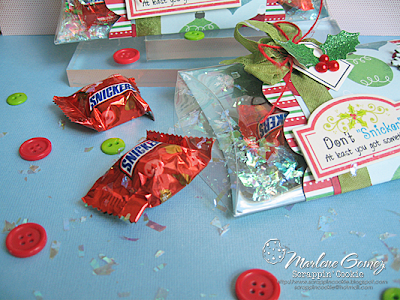 I created a band around the pillowbox and insert using papers from the American Craft Peppermint Express Collection. I tied some of Toadally Green Crinkle Ribbon and tied a small tag made with theTiny Tags Metal Dies with Red Jute String - available HERE at My Craft Spot. I stamped the "Holly Leaves" Image and Border frame from the Ornate Labels - Christmas Stamp Set onto the smaller Ornate Label from the Ornate Labels Metal Dies. The "Holly Leaves" Image was colored in using my Prisma Color Pencils. 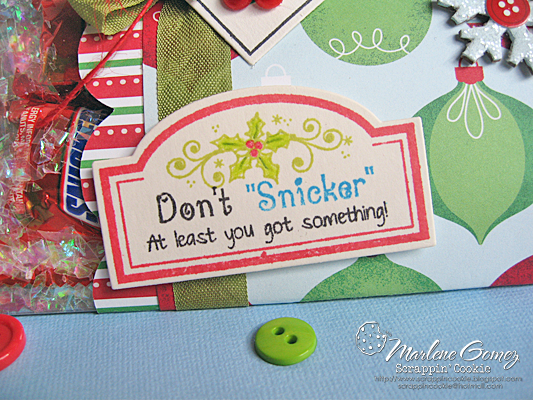 I then masked off the "Snicker" phrase from the "Don't 'Snicker'..." Sentiment so I would be able to stamp it back in using Blue Ink. 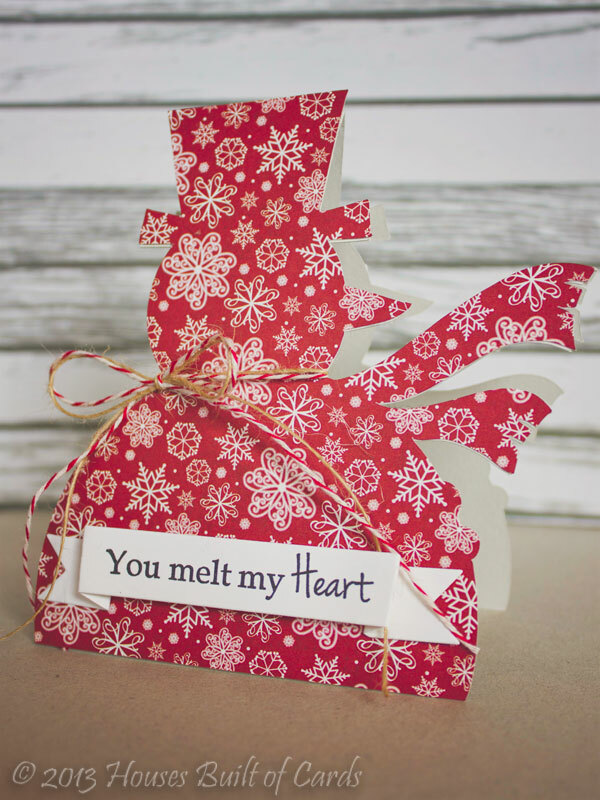 I hope to have inspired you to take out your My Craft Spot Products and create a FUN and QUICK gift for someone special this Christmas. 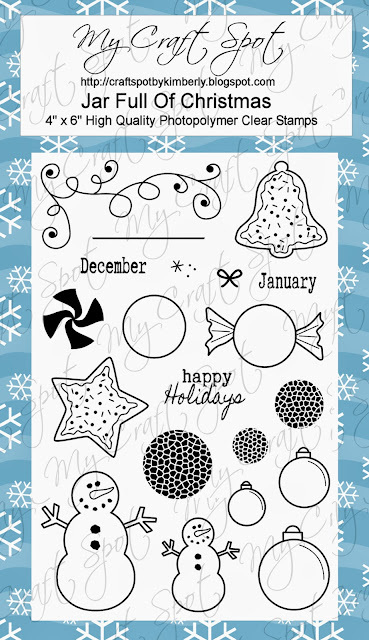 And don't forget to join in on this week's My Craft Spot's Monday Challenge #118 - Sketch Challenge. You have until Monday, November 25th 11:59pm MST for your chance to win this week's prize. Be Sure to give it a try! 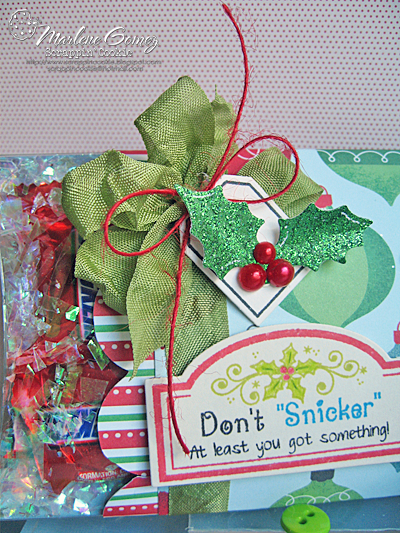 For more details and pictures on my "DON'T SNICKER" PILLOWBOX TREATS, please click HERE. Monday Challenge #118 - Sketch Challenge! DT Post by GiGI - Spiced Cider!! 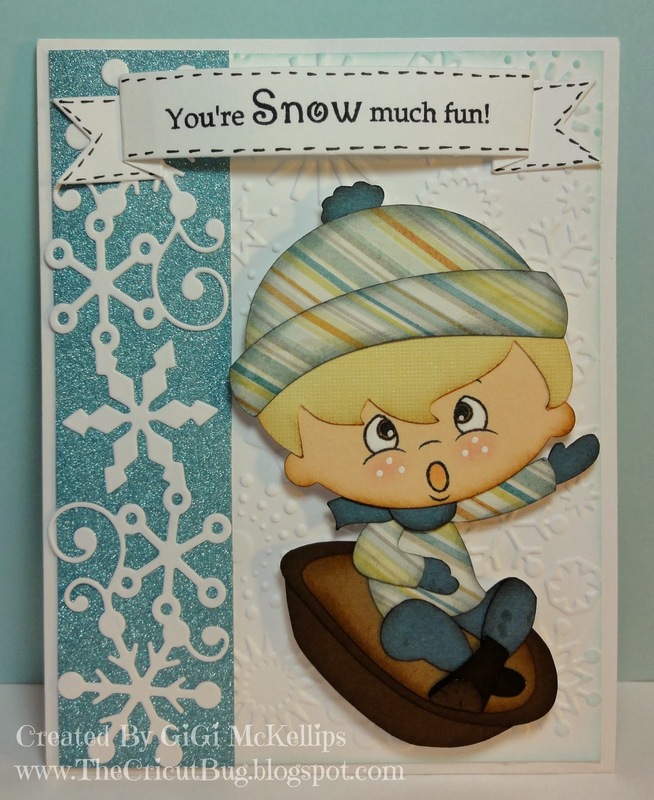 Guest Designer - Sue Kment! DT Post by Sherrie - What's Cookin'? DT Post by Gwen - cute Christmas treat! DT Post by Kate - Coolest Holiday Greetings! Guest Designer - Susie from Susie Craft Happy! Winners from challenge #116 - Color Challenge!!! 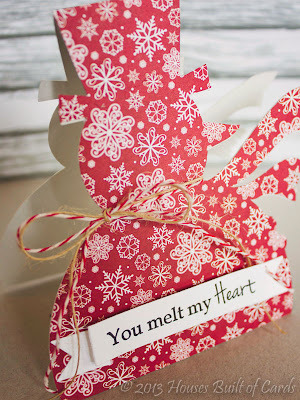 DT Post by Sherrie - Vintage Paper Doll Tag! DT Post by Heather - So blessed . . . Fall card! DT Post by Sherrie - Merry Christmas Owls!